Hello Friends! 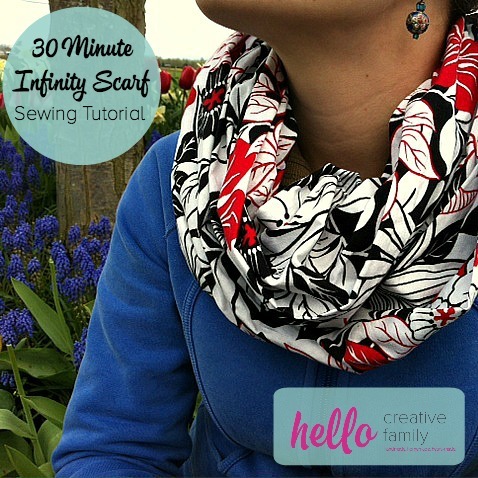 It’s been awhile since we did a quick and easy sewing project! I’m so excited to share today’s post with you. 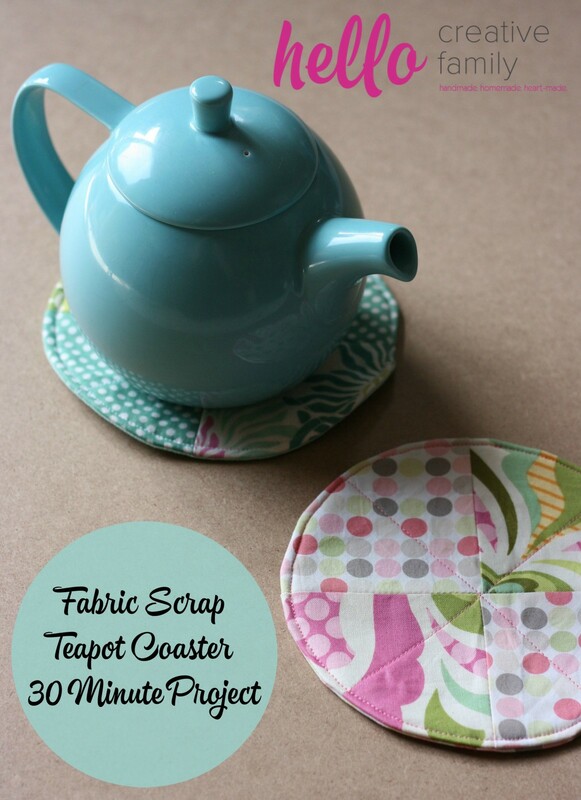 It’s quick, it’s easy, it makes an adorable gift or stocking stuffer and it uses up some fabric scraps! Winner winner! 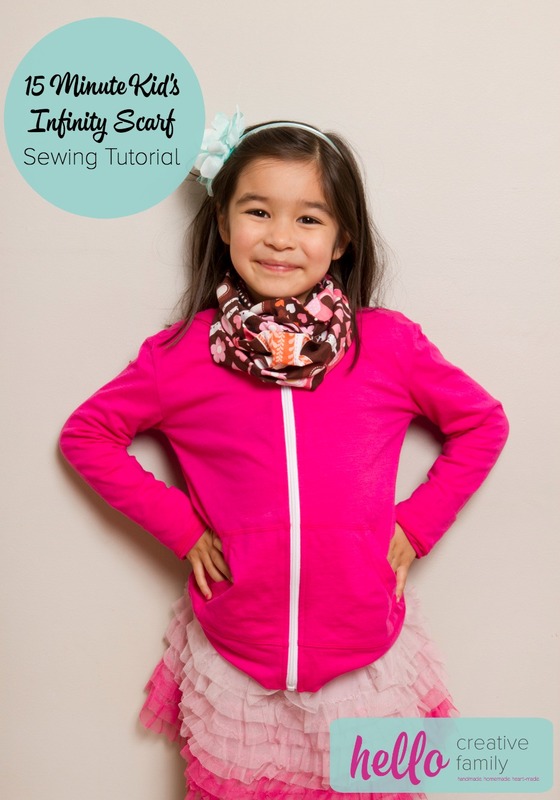 Earlier this week All Free Sewing contacted me and asked me if I had a quick and easy sewing project that would make a great Father’s Day gift for an ebook they are creating. Most of our sewing projects are pretty girly, and I’m leaving for SNAP on Wednesday and have a zillion and one things to get done before I leave. My first thought was “I don’t know if I’ll have time before I leave!” Sometimes being on a tight deadline produces the best projects. I had 30 minutes before I had to pick up the kids from daycare. 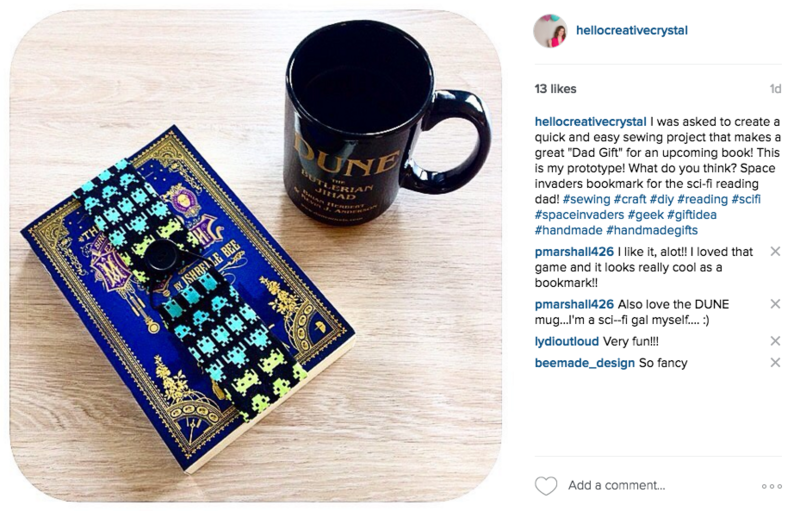 By the time I walked out the door to get them I had thought up this project, whipped up a prototype and Instagrammed it! Today I’m going to share it with you. Know someone who loves to read? 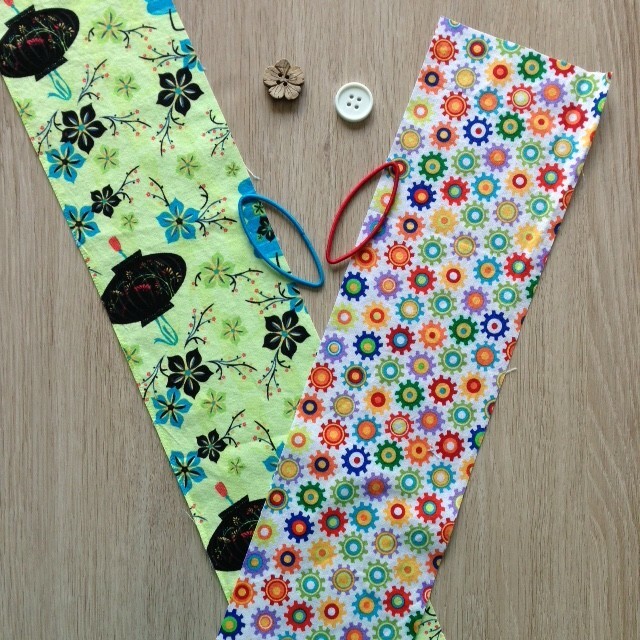 Make them a 5 minute fabric scrap bookmark the next time you need a quick and easy last minute gift! I think these would be great for teacher gifts, Mother’s Day gifts, Father’s Day gifts, stocking stuffers, party favors, or hostess gifts! I shared instructions for a mass market size (the little pocket sized paperbacks), a trade paperback size (the bigger paperbacks) and a hardcover size. These would make cute gifts for kids too in fun, novelty fabrics! 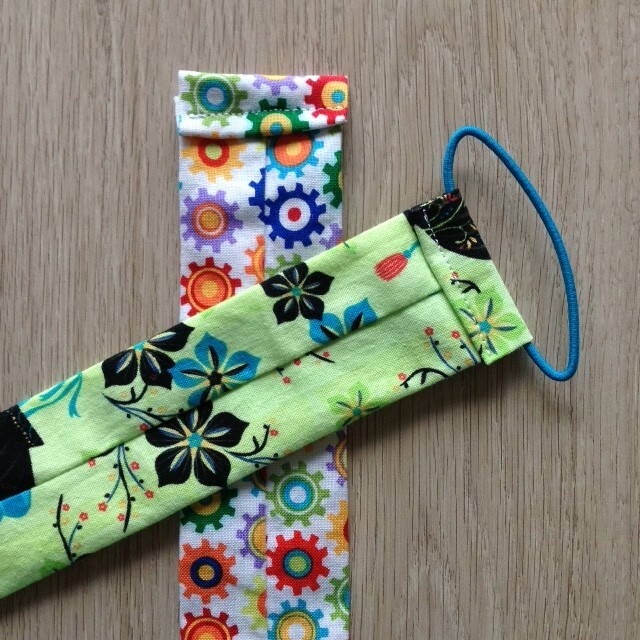 This project is so simple that it makes a great “first time sewing” project. I think it would make a really cute first sewing project for kids too! 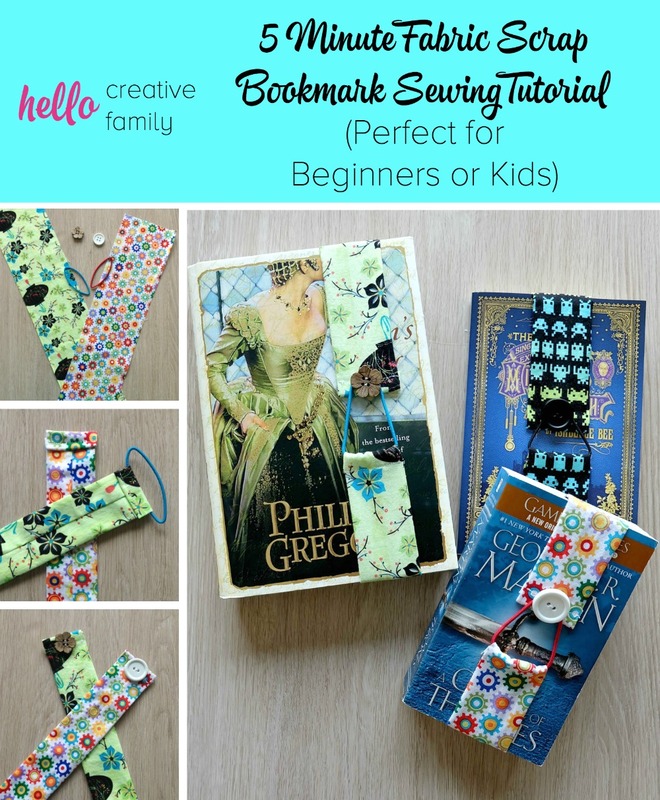 Read on for my 5 Minute Fabric Scrap Bookmark Sewing Tutorial. 1. Cut out your fabric (For a small mass market paperback 4 inches by 16 inches, for a larger trade paperback 4 inches by 18 inches, for a hard cover 4 inches by 20 inches). 2. Fold fabric in half with pattern side of the fabric in the center. 3. 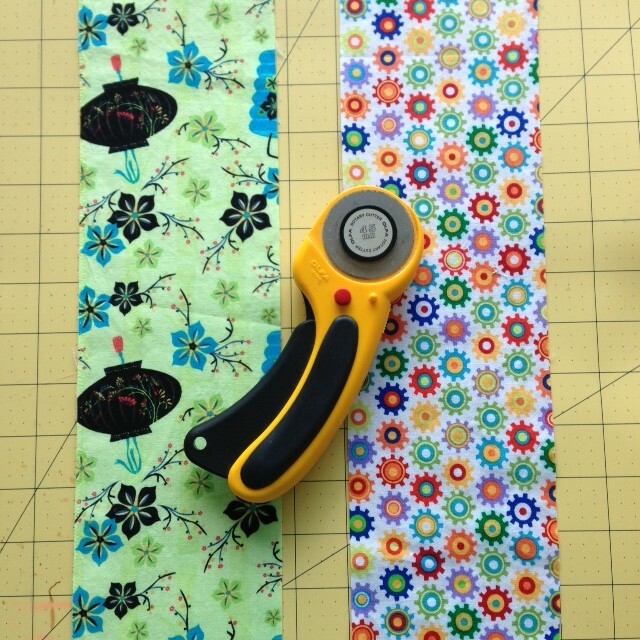 Sew the fabric shut by stitching down the length of the fabric using a 1/4 inch seam allowance. Leave the ends open so you can turn your tube right side out. 4. Flip your fabric right side out, then press your fabric with your iron so that the seam is running down the center on the back of the bookmark. 5. Now it’s time to finish off the ends of the bookmark. Fold one end over by 1/4 inch, press with your iron. Then fold over another 1/4 inch, press again and pin. Do this on both ends of your bookmark. On the end where you want the elastic loop, loop your elastic hair tie in before pinning. 6. Sew across your folded over edge to secure. 7. 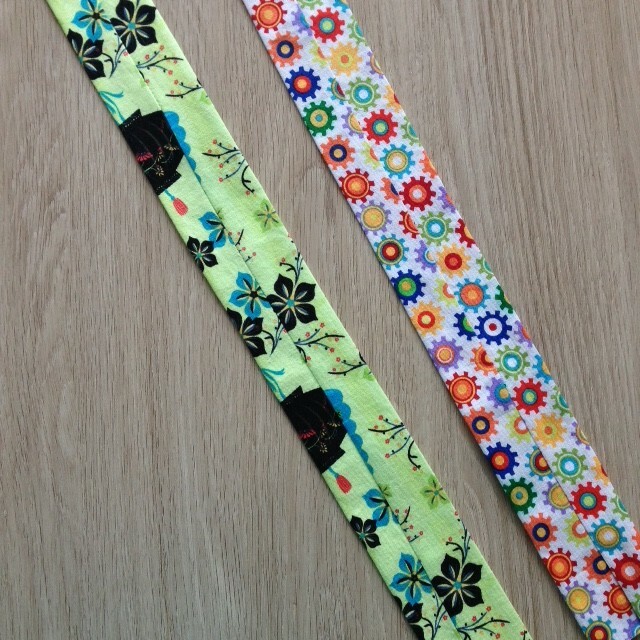 On the side that doesn’t have the elastic, sew on your button. Voila! 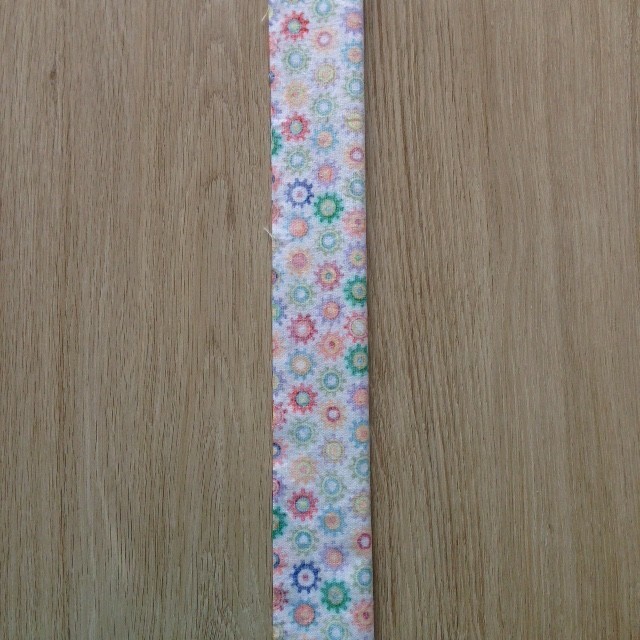 You have a pretty little bookmark that makes a great handmade gift! Like this? 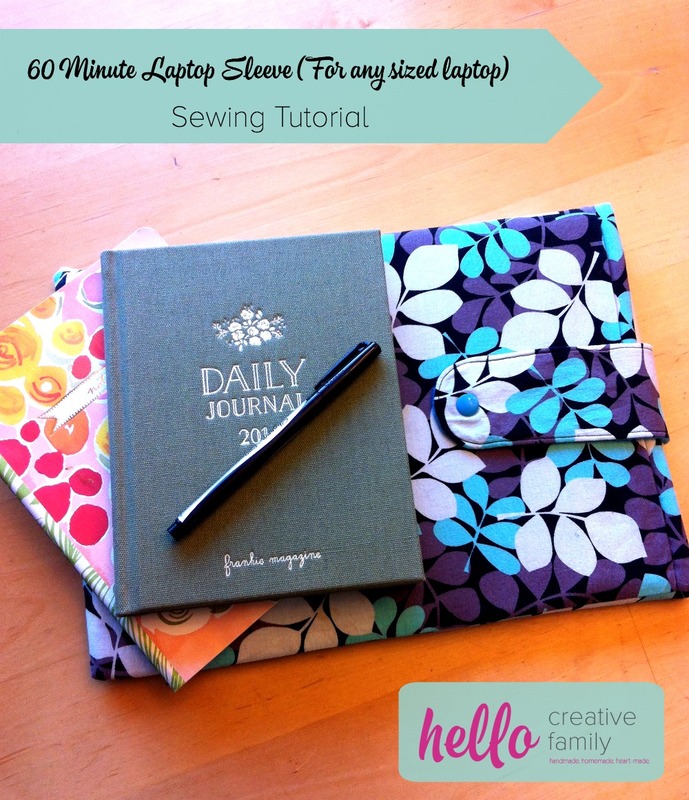 Make sure to check out our other 60 minute or less sewing projects! 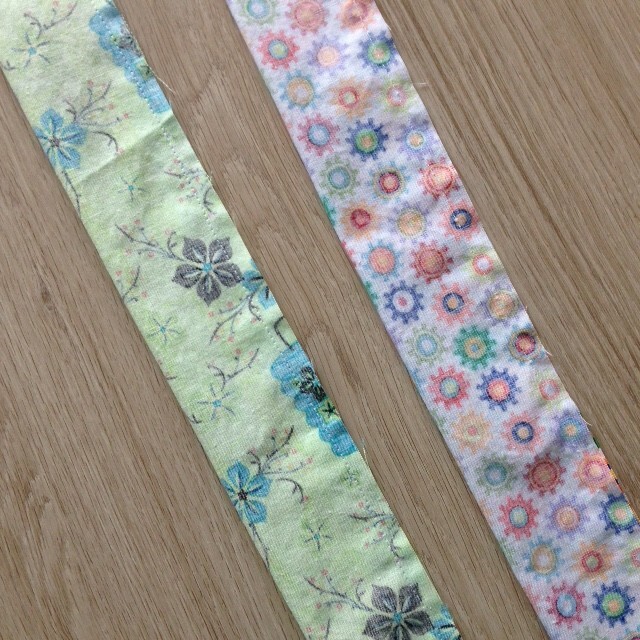 Tell me… What kind of fabric would you make your bookmark in? Who would you give this to? What’s your favorite handmade gift to give? 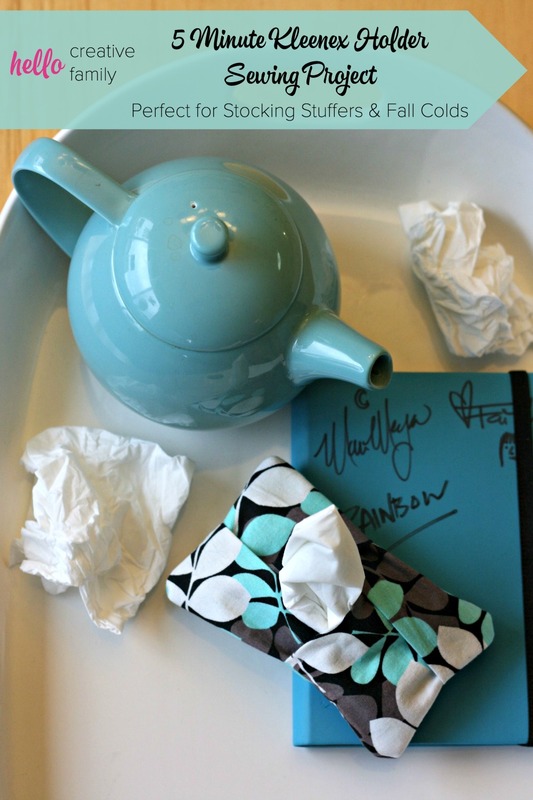 « Creative Voices: Spring Cleaning – Do We Have Too Much? What a cute bookmark! I love that it ties to the book! This is absolutely adorable. It would make a perfect gift for a bookworm. And I have plenty of those in my house. I am hosting a new link party, Sweet Inspiration and would love to have you join us. It runs Friday till Tuesday. These are great! a cute little craft to make with my girl, and she’d love to make some for a few people! 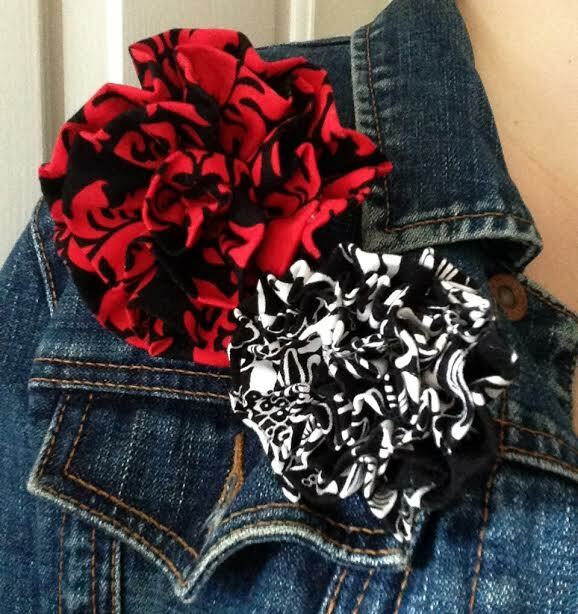 It’s also an awesome way to use up the strips of scrap fabric we have here! Love the bookmark! 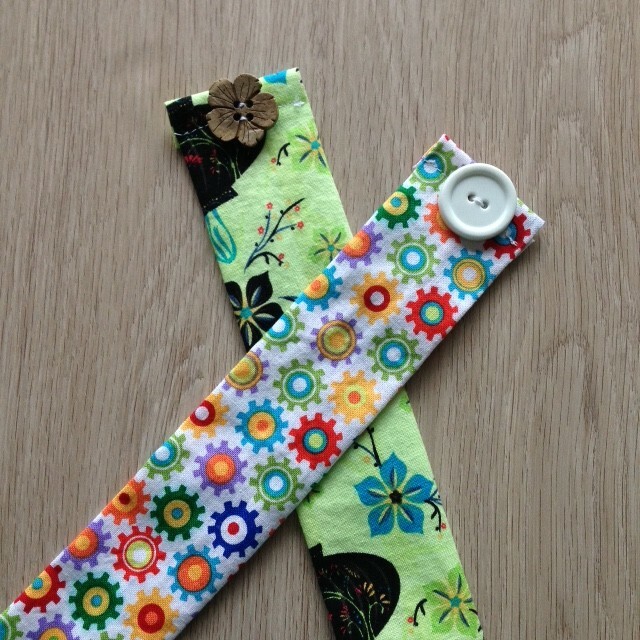 Great stocking stuffer and can really jazz up with a special button and bright elastic. Thanks so much for a great idea!